While much of the information we use on a daily basis can be entered into a digital database or document, there are some things—like the simplicity and efficiency of a specialized hand stamp—that just can't be replaced. In the past, custom rubber hand stamps have been hit-or-miss, offering either decent image quality or affordable prices. At Fred L. Lake & Co., Inc., our customers get the best of both worlds; we provide cost-effective products that produce great print quality, from traditional rubber stamps for the office to self-inking hand stamps for events. Regardless of whether you plan to stamp status messages onto documents or provide re-entry hand stamps for events, our easily-customized products are an ideal choice. 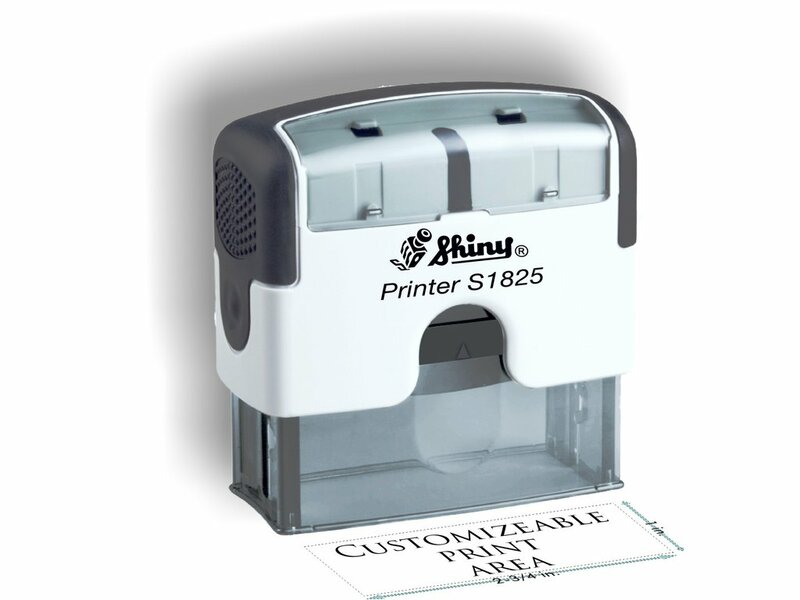 Choose from premium or traditional self-inking stamps for an all-in-one experience, or select traditional rubber hand stamps to be used with a variety of hand stamp ink products. With a reliable hand stamp kit from Fred L. Lake & Co., Inc., you can rest assured that every document will be clearly marked and every event hand stamp will last through the night. For over 120 years, Fred L. Lake & Co., Inc. has been providing business owners, corporate employees and other clients with a wide variety of custom stamping products and other office supplies. Our various office stamps and custom hand stamps for events are backed by our company's strong dedication to quality, and we seek to make sure every customer is completely satisfied with his or her purchase. If you have any questions, concerns or other ideas regarding your custom stamps, our friendly staff will be happy to address them. Just design your stamp and check out. Input your layout first, then choose 1 of the 5 stamp types recommended to fit your design. Features a soft-rubber grip and extremely smooth action. Until recently, companies looking for pre-inked hand stamps had two basic choices: accepting an utterly generic template, or paying a steep premium for a customized solution. But here at fredlake.com, we believe our customers deserve better. That's why we offer a wide range of customizable stamps that combine flexibility and affordability in innovative new ways. Over our more than 100 years in business, we have learned that even the smallest products need to reflect our clients' individuality. By starting with dozens of unique templates, and then offering the ability to specify text, change fonts, and add company logos, we can ensure our clients stamps that will meet their precise needs. Everything you do reflects on your company and your brand; why should your stamps be any different? Few office products are used with more regularity than pre-inked hand stamps. The last thing you need is to wait a day longer than necessary for date stamps and inspection stamps you need right now. At fredlake.com, we make it our business to get your order exactly the way you want it the first time, so that you can spend time on more important business: your own. See how easy it is to design and order customized stamps online, and you will never want to do it any other way. In a few short moments, you can make decisions that will affect the appearance of your internal and external documents for years to come. So what are you waiting for? We encourage you to express yourself in a high-end fashion--at distinctly low-end prices.